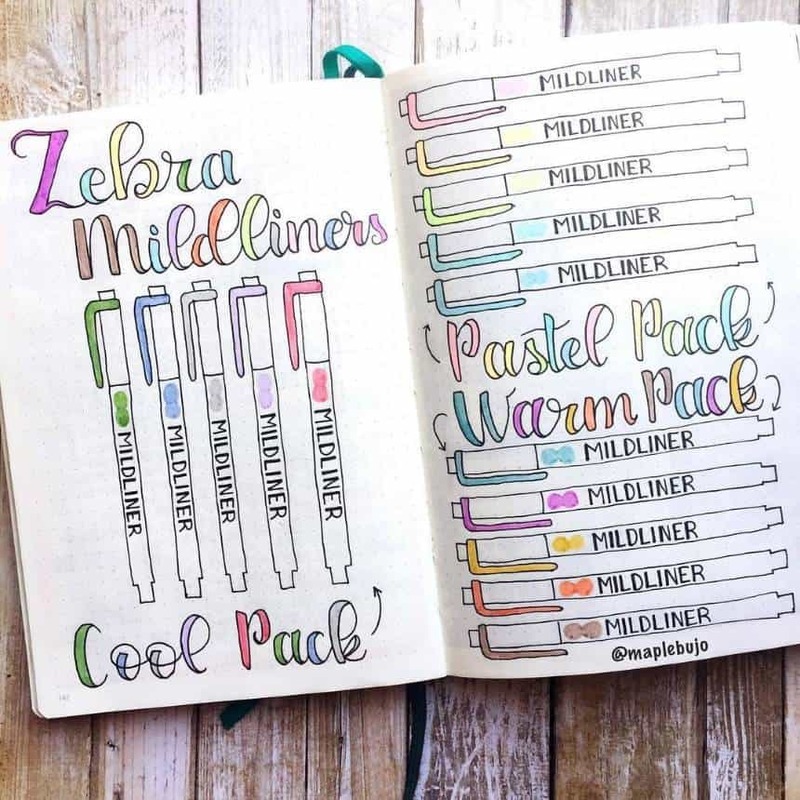 Bullet Journal Pen Test Spreads You'll Want to Try for Yourself! 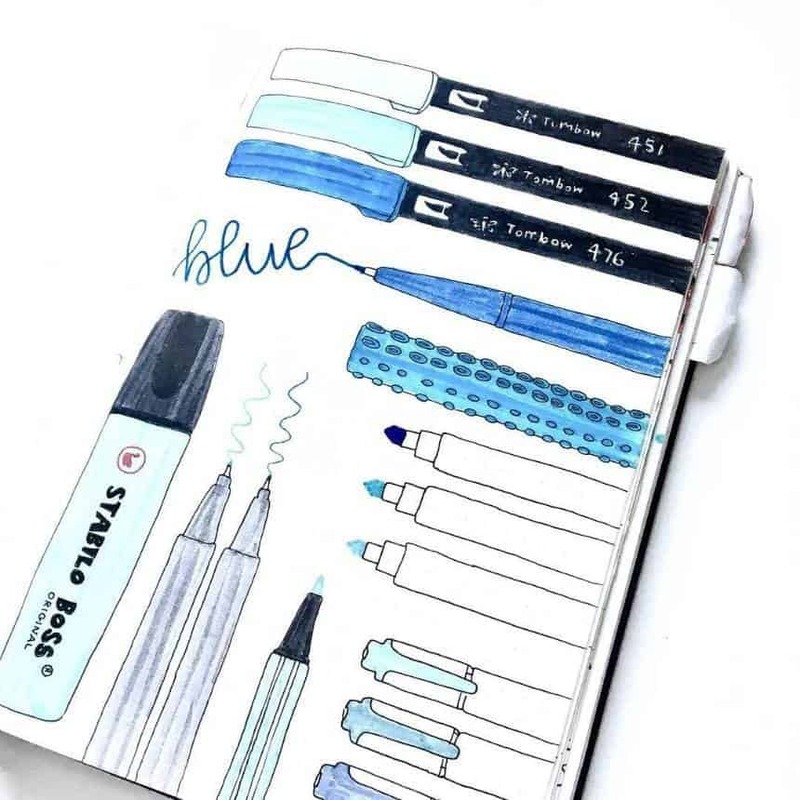 Home > Bullet Journal > Bullet Journal Tracker Ideas > Bullet Journal Pen Test Spreads You’ll Want to Try for Yourself! 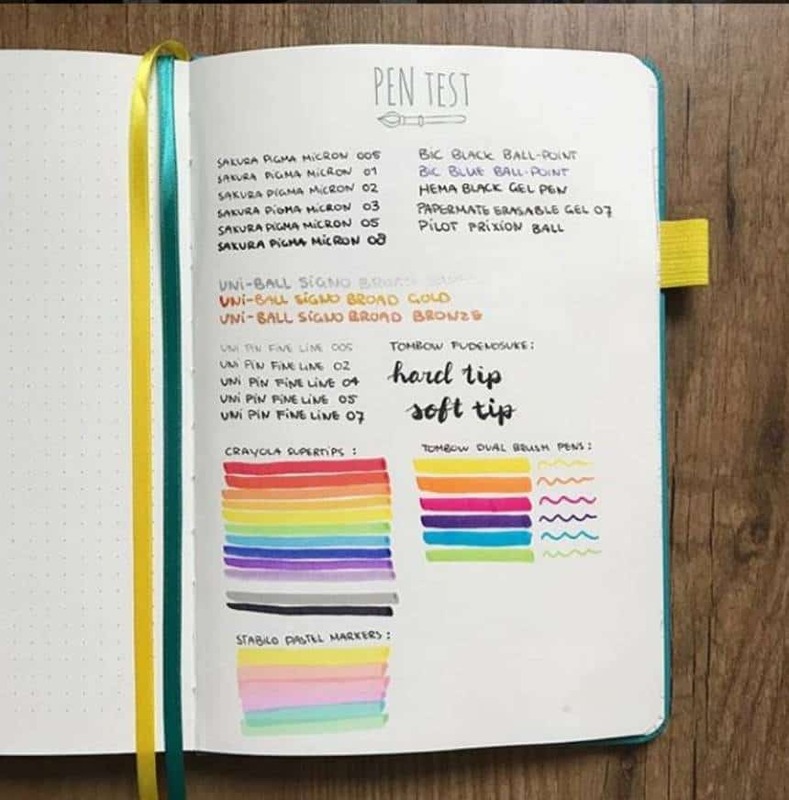 One of the most important collections in your Bullet Journal is your pen test spread, so you can check that your pen won’t bleed through the paper and ruin all your hard work! 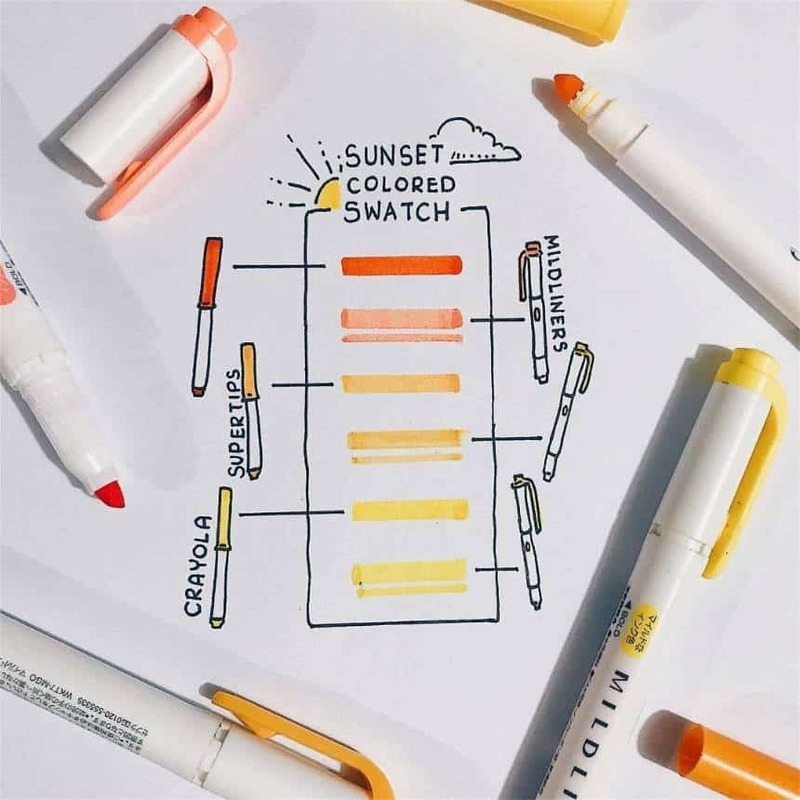 One of the things you’ll quickly discover where you start bullet journalling is that you can never have enough pens… and that not all pens are created equal! Depending on what notebook you are using some pens have a tendency to bleed through, which you really don’t want to happen. And that’s one of the reasons why you’re going to want to set aside a page (or 6) at the back of your journal as a pen test spread. 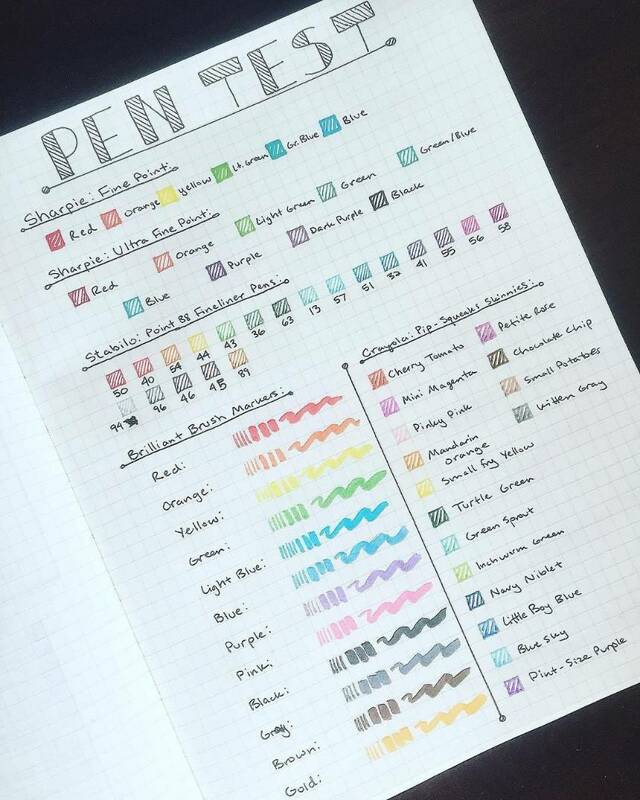 Your pen test log is the perfect place to not only make sure your pen isn’t going to bleed through the paper but also to keep track of all the different colours you have. 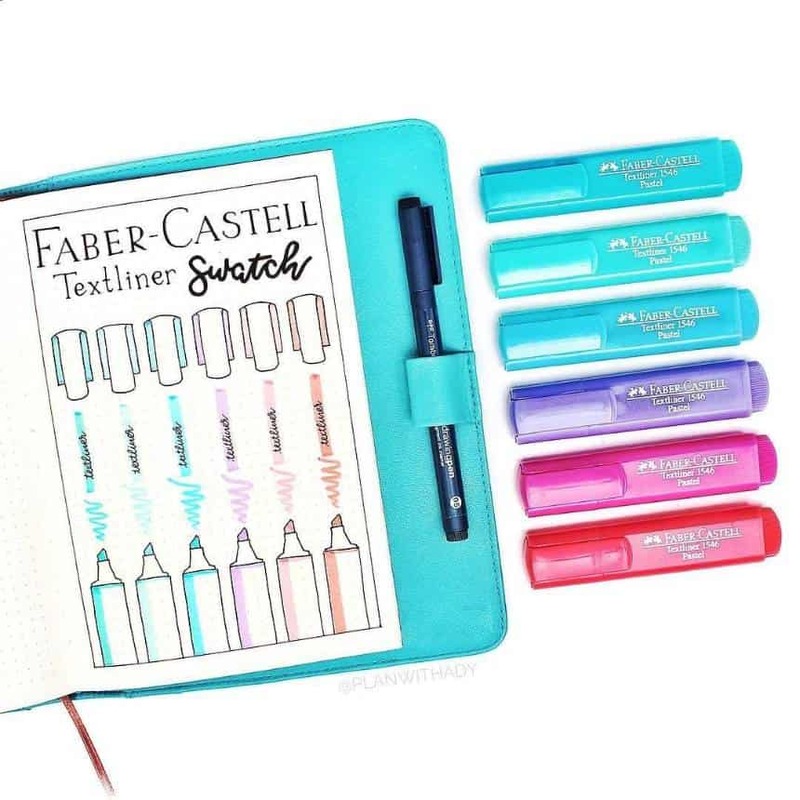 See my favorite bullet journal pens here! 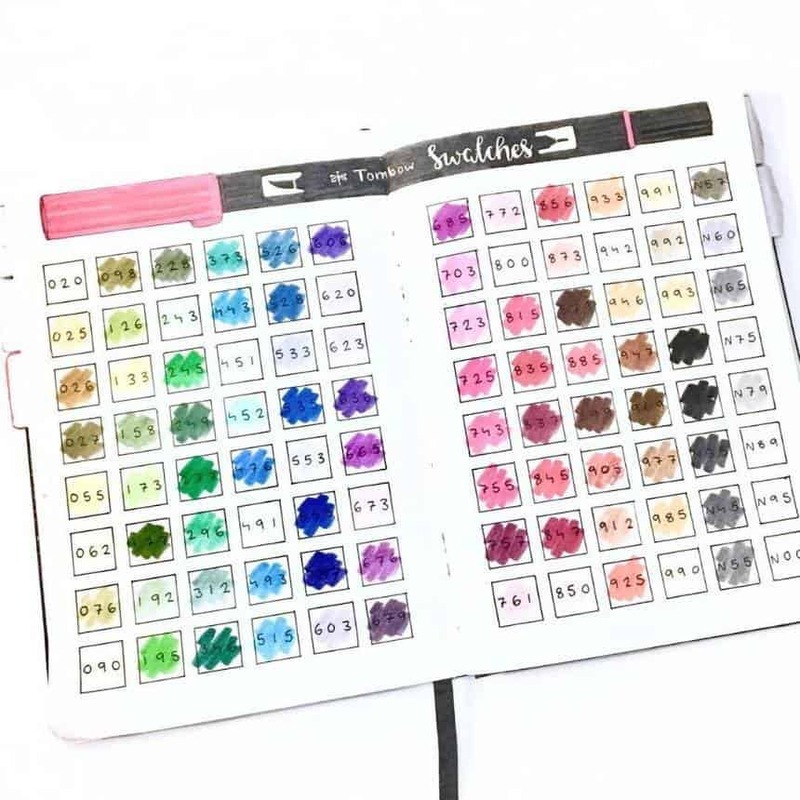 If you like to pick a colour theme for each month’s you should think about having a monthly pen test spread so you can keep track of which colour you had designated to which job in your journal for the month. 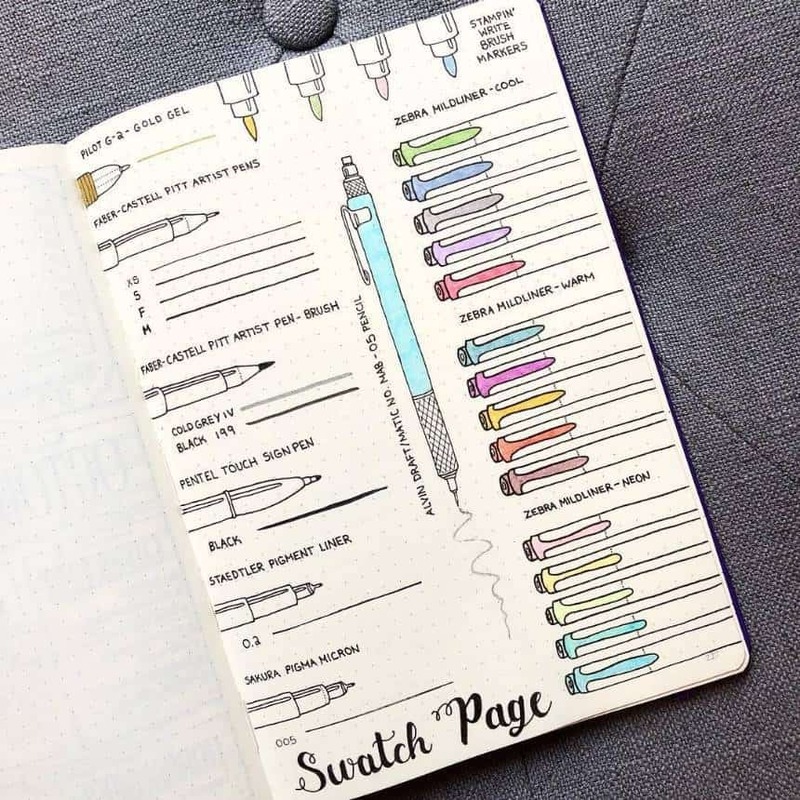 And of course there is more than one way to set up your pen swatch spread, which is why today I’m sharing 10 of my favourite pages to inspire you. 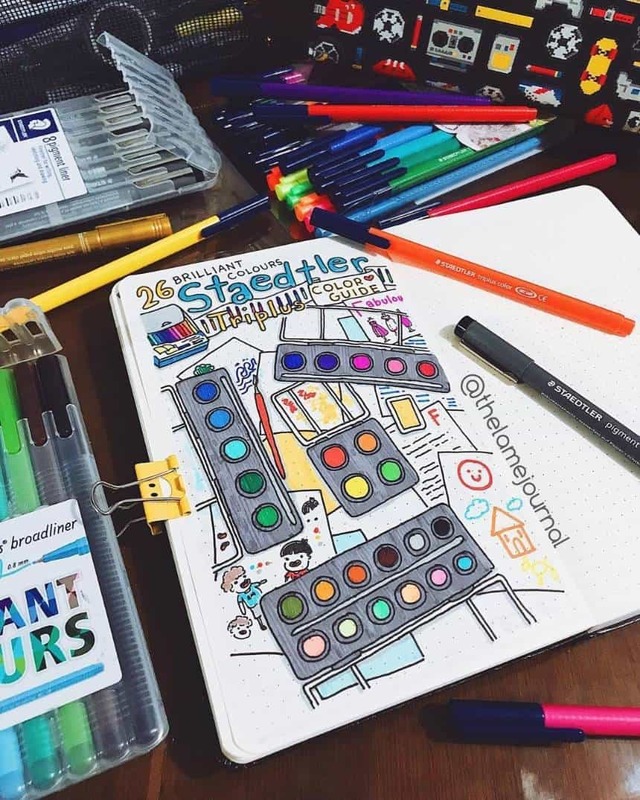 As always these BuJoers are super talented so if you love their idea be sure to click through and follow them on Instagram for more inspiration! 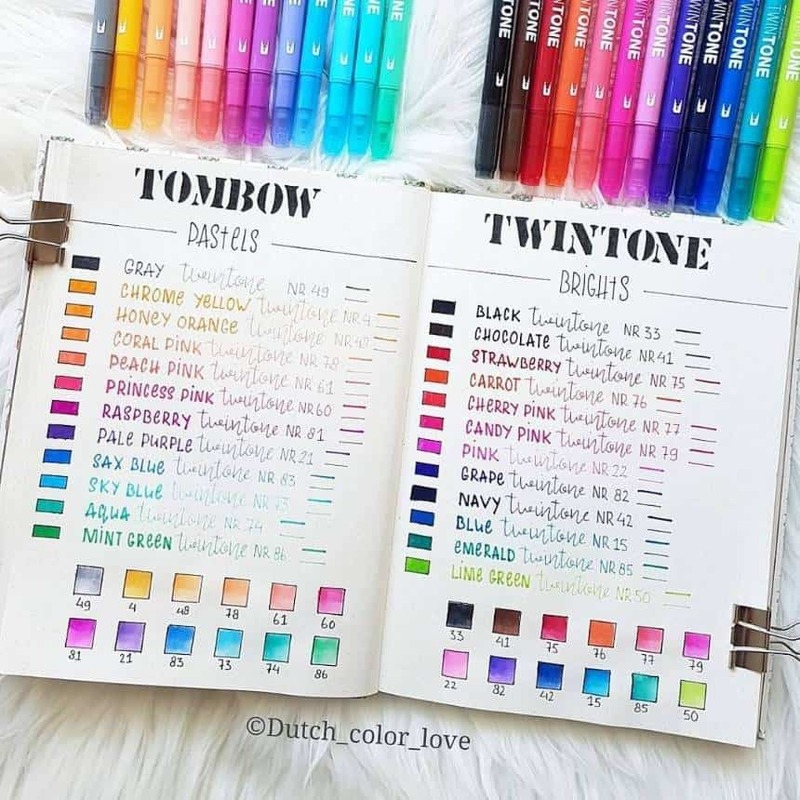 Tombow markers are perfect for Bullet Journaling, and you can see our favourite colour collections here! Next PostNext The Cutest Amigurumi Bunny Patterns with Clothes Perfect for Easter!